Historic water view homeâreimagined for todayâs living. 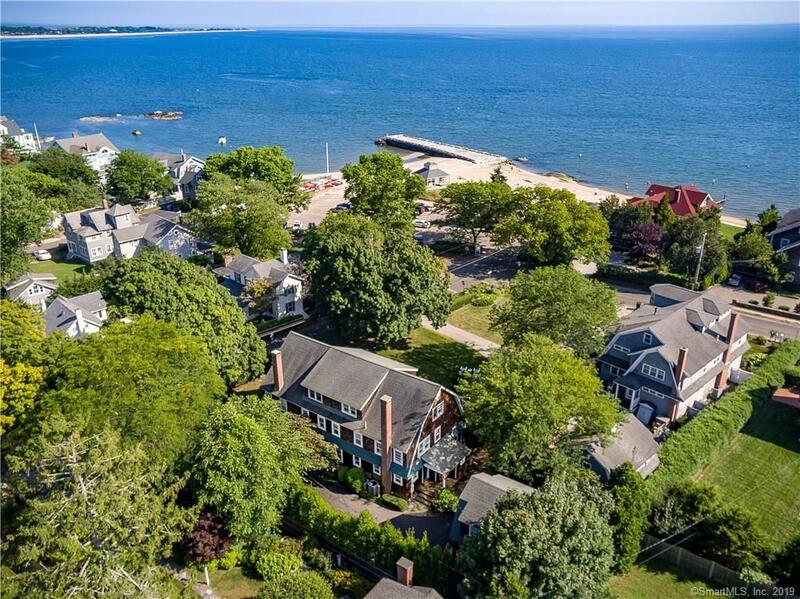 This stunning, shingle style home is a landmark in the picturesque East Wharf district and an ideal beach location close to town. Light pours into this three-story home with deeded southerly views offering plenty of room for family and friends. The first floor invites an open, natural flowâframing views of, the rich gardens, East Wharf beach and the glistening Long Island Sound. The integrated family, dining and porch living areas make this classic home perfect for both tranquil living and entertaining. Original fireplace, beautiful hardwood floors, wainscoting, and extra wide hallways are just a few of the architectural details that shape this iconic residence. The third floor suite serves as a guest cottage with ample space and amenities, evoking a secluded getaway. Separate carriage house includes a second floor office or studio space. Its contemporary take on the homeâs classic design, offers floor to ceiling built-ins, natural light and a private stone patio with warm weather dining area and lush landscaping.